Part of the Brooklyn Copper collection by Taylor’s Eye Witness, this 3 piece knife set would be a practical update for your kitchen. 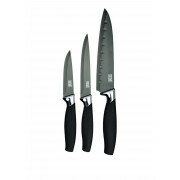 The set includes a 4” paring knife, a 5” all purpose knife and a 6.5” Santoku knife. 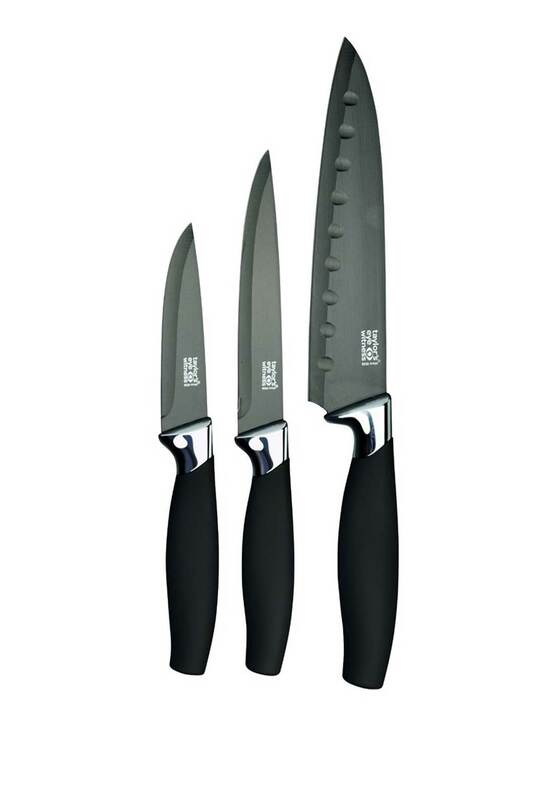 All consist of anti-bacterial, hard ceramic coated blades and have comfortable soft grip handles.